The VIC has the ability to display not only the charsets build into the rom, but also custom made ones. 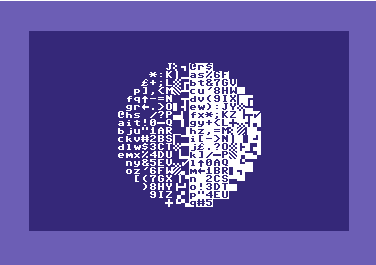 For each character 8 bytes are reserved so they represent 8×8 pixels. 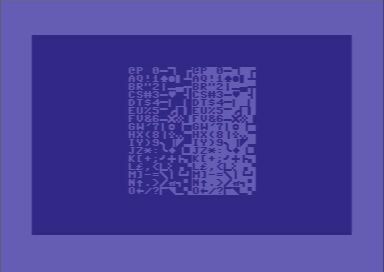 The Petscii Character '@' uses the first 8 bytes, the 'a' the second 8 bytes etc. Contrary to the bitmap mode these 8×8 pixel blocks can be freely positioned on the screen. 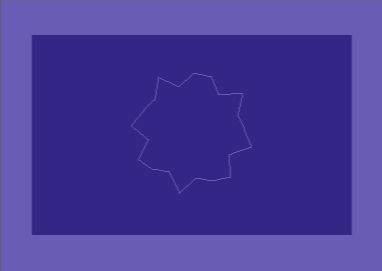 Advantageously the blocks can be ordered in a way so that the y coordinate equals the byte offset in the charset. Character '@' represents the y coordinates 0-7, character 'a' the coordinated 8-15 etc. This has the advantage of covering a bigger area. This code uses the ca65 assembler. The coordinates are passed in the X and Y registers.